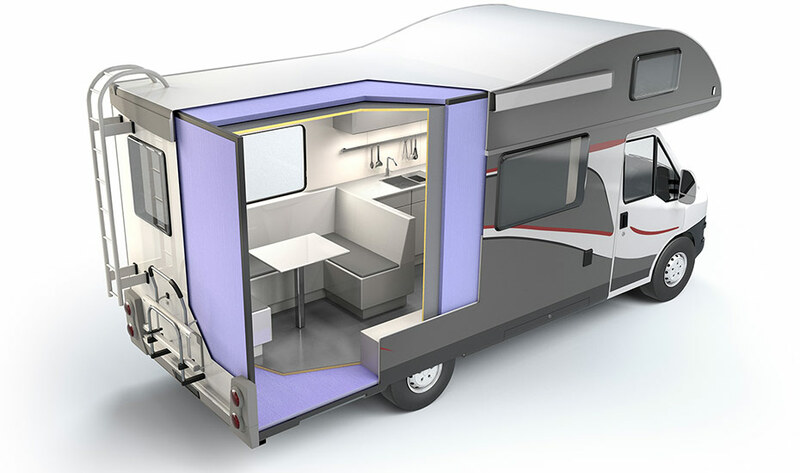 In the construction of recreational vehicles and camping cars, tolerances, stability and weight are crucial factors. Particularly light but at the same time dimensionally stable elements are used for base plates, walls and interior work. Using moisture-resistant JACKODUR® boards prevents the formation of condensation and the loss in thermal insulation this brings with it. The vehicle is therefore ensured a long life, even in extreme outdoor conditions.